2 Bedroom Detached Bungalow For Sale in Leicester for Guide Price £190,000. 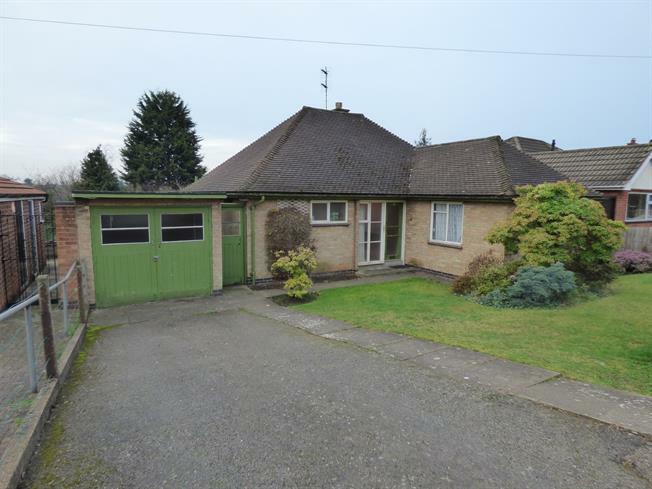 Spencers are offering for sale with no upward chain this spacious two bedroom detached bungalow. The property sits on a generous plot and offers space for extension subject to planning permission. The accommodation briefly comprises of entrance hall, lounge, kitchen diner, two double bedrooms and family bathroom. Externally there is off road parking, single garage, outbuilding, and lawned front and rear gardens.